The Veterans Ministry of Saddleback Church is a volunteer based Christian outreach that serves local veterans and their families. Groups have weekly fellowship to discuss life experiences, veteran's issues and Bible based topics. Everything discussed in a group is confidential. Often times only another veteran or wife of a veteran can relate to and understand what someone else has to share. We provide one another with hope, encouragement and comradery through Jesus Christ. We are a military outreach ministry that looks for ways to extend God's love to our military and their families whether they are as close as Camp Pendleton or as far away as Afghanistan. We feel responsible to honor those who serve in the armed forces defending our freedoms. 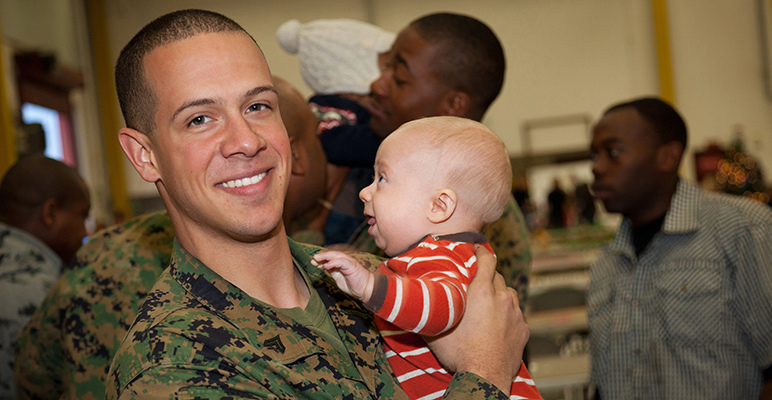 We respond with acts of appreciation that include newborn baby baskets, goody bags to troops deployed around the globe, hosting deployment and welcome home events at Camp Pendleton, sponsoring retreats, and much, much more.